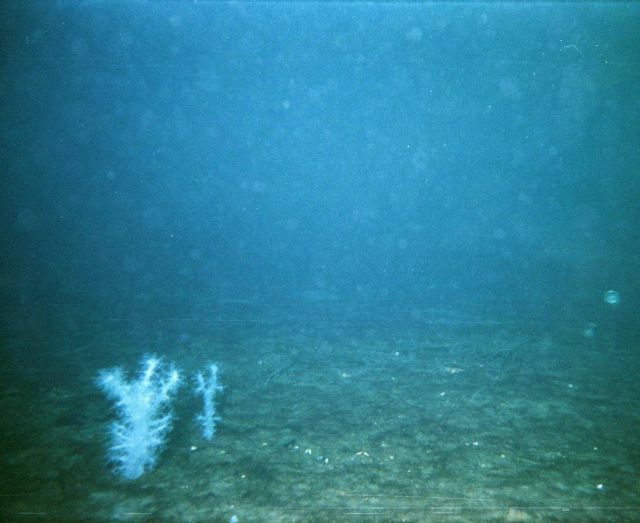 Typical view of a deep bottom after red king crab’s aggressive invasion. Only sea anemones (Actiniaria g.sp), and soft corals (Eunephthya sp) remain. Kola Bay at Belokanenka, Lat. 69 6.4 N, Long. 33 22.5 E. Water temp 0C; air temp 12 C; depth 27 meters.